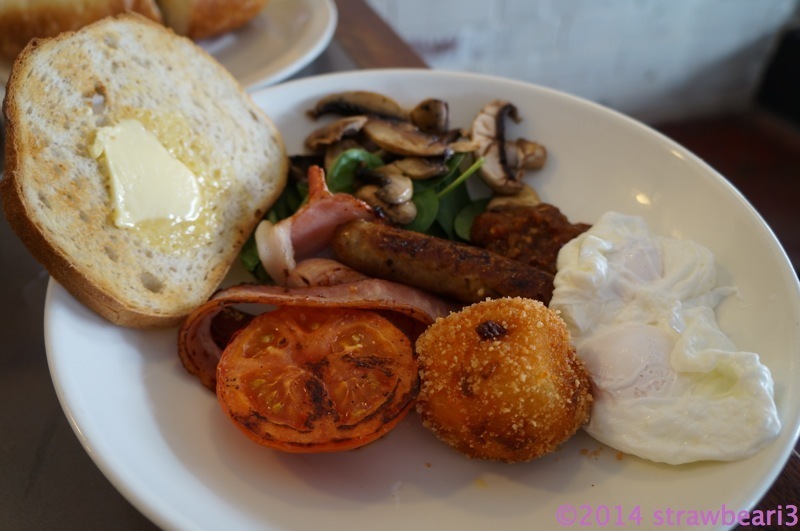 We have finally settled down and returned to our weekend food tradition – visiting a cafe for brunch! 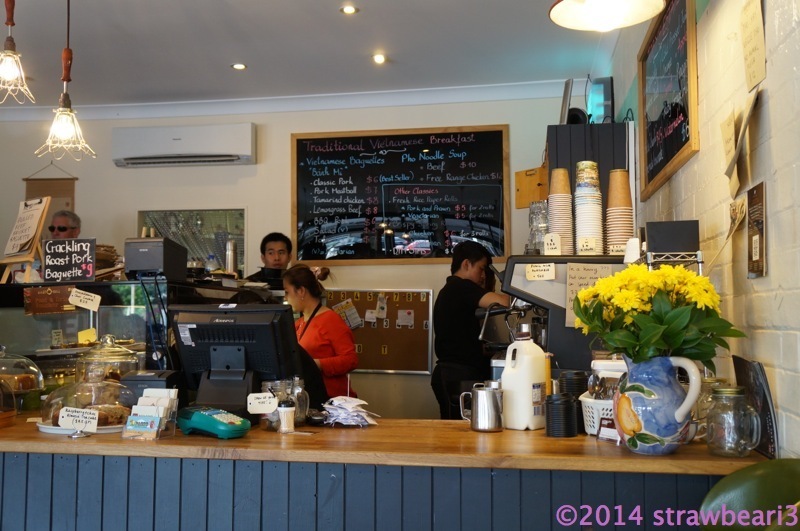 Our first cafe visit this year was Cafe O-mai at Annerley. It is a Vietnamese style cafe offering both traditional Vietnamese as well as fusion style breakfast. I ordered a Lychee & Mint Frappe ($6). 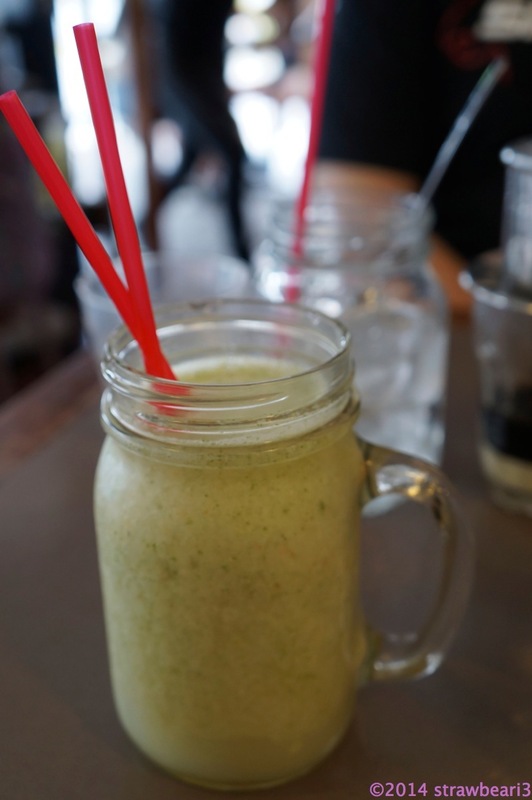 The combination was really refreshing and perfect for hot summer weather. D ordered the Vietnamese Ice Coffee ($5). 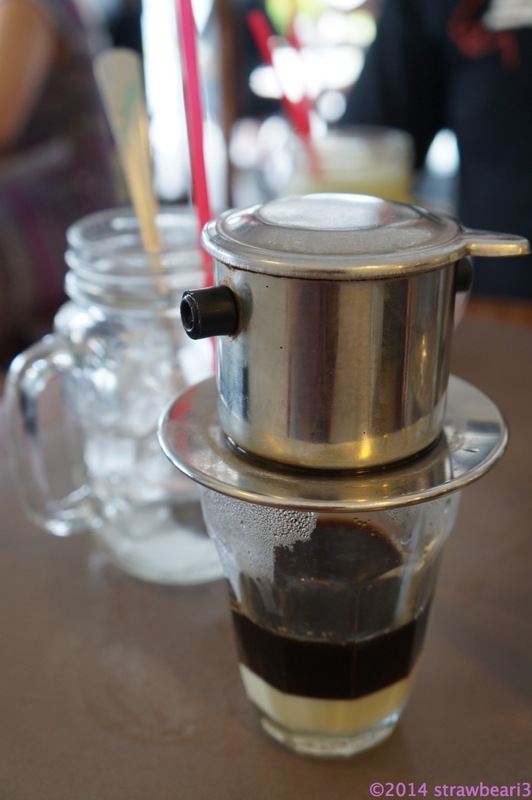 It came served as drip coffee over a cup of condensed milk, with a glass of ice on the side. The coffee was nice and strong and not overly sweet (as some can be). 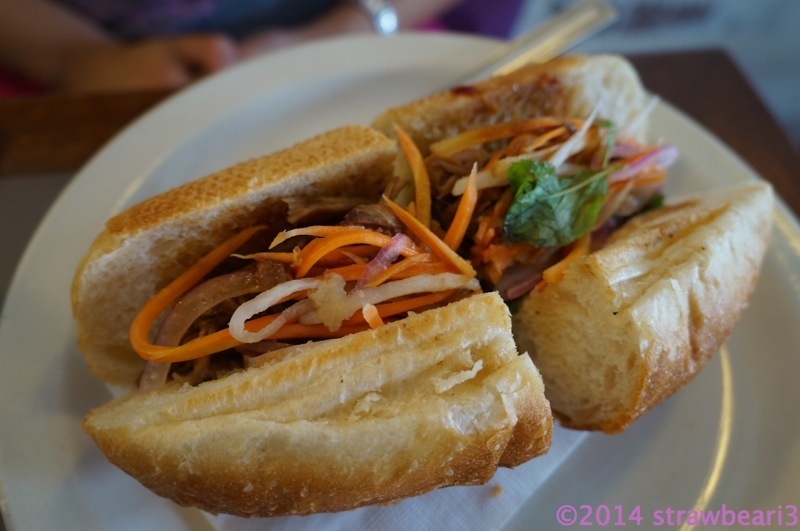 For food, I wanted something lighter and couldn’t go past the Pulled Beef Brisket Banh Mi ($9). The slow cooked beef was very tender and deliciously seasoned. I loved it! D ordered the O-Mai Phat Breakfast ($16) which came with eggs of your choice, bacon, sausages, mushroom, roasted tomato, sweet potato cake, chilli jam and sourdough. The pork & lemongrass sausage was a standout and tasted very fresh, meaty and not greasy at all. The poached eggs and bacon were cooked to perfection and well complemented by the chilli jam. Overall we were very happy with the food. It was light, healthier and went very well with our New Year’s resolution!